The hot look of Spring/Summer 2014 is braids, which Crimson’s Braid Bar supplied at Philadelphia’s Rittenhouse Row Festival! 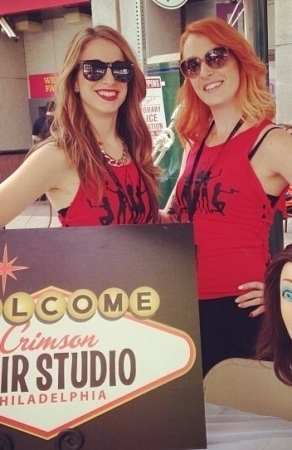 The ladies at Crimson Hair Studio have all types of braid styling skills! The salon is ready to welcome your sunny day walk-in braid needs as well as your night-on-the-town style inspiration. Crimson’s braid bar was featured at The Rittenhouse Row Festival, giving all the ladies face framing looks while they sampled some of the best food & fashion Philly has to offer.